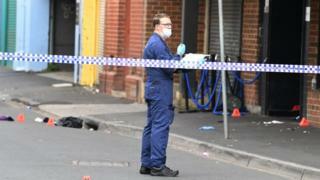 Victoria Detective Inspector Andrew Stamper described the injuries they sustained as "horrific". "This is just a horrendous act. It's a busy nightclub, one of the main nightclubs in Melbourne in one of the main entertainment precincts in Melbourne," he told a news conference.